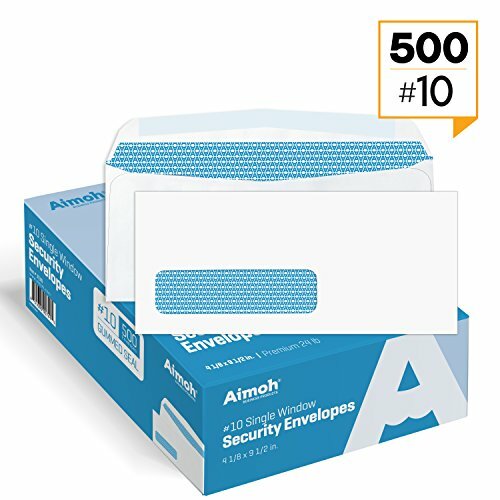 Office Deed #10 Security self seal Envelopes are designed for convenience, reliability and security. These are made from high-quality 24-lb white wove. Wove finish adds a professional touch. Envelopes designed to Protect confidential client information with our security tinted envelopes. The blue tint pattern makes impossible to see the details of the contents, even when held up to the light. Mail invoices, statements and other important documents with confidence. The woven finish gives them a neat appearance and professional appearance. 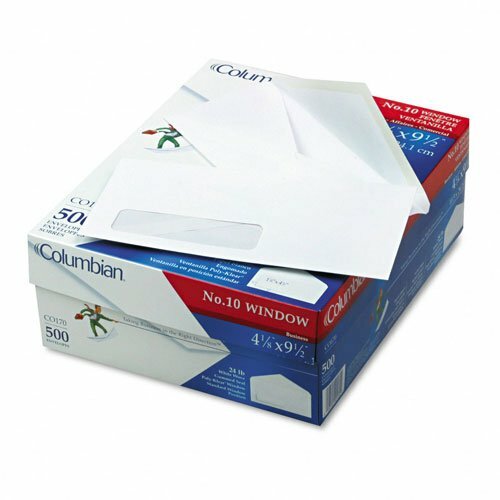 The gummed flap provides for quick and easy sealing. The box contains 500 individual white business envelopes. 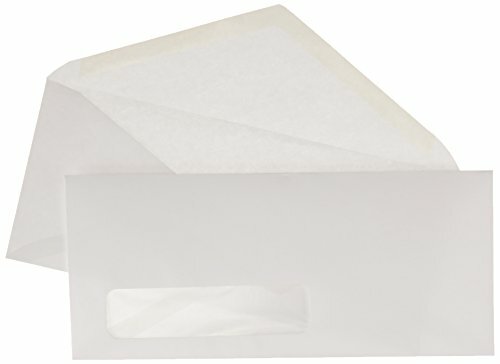 #10 SINGLE WINDOW ENVELOPES: EXTRA LARGE WINDOW FOR PREMIUM MAILING! 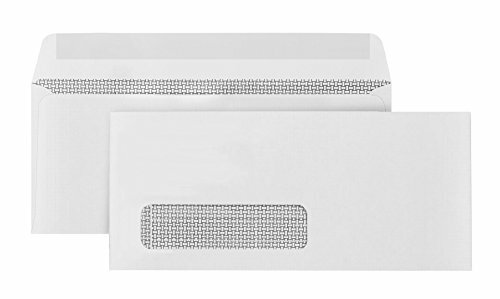 Ideal for bulk mailing, each envelope is designed with an extra-large, easy read 4-1/2 X 1-1/8 poly window, positioned 7/8" from the left and 1/2 from the bottom of the envelope, perfect for displaying mailing addresses and eliminating constant hand addressing and printing for cheaper, quicker bulk mailing! - Extra-large, high visibility, easily read front window, perfect for addresses. - Perfect for mailing Invoices, QuickBooks Invoices and checks, billing statements, checks, and other business mail. 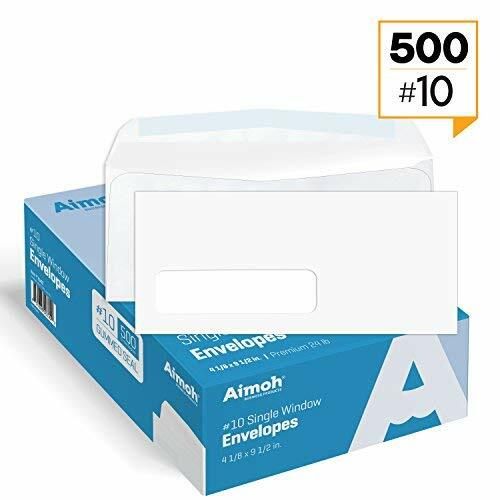 - 500 envelope supply with each measuring 4-1/8 x 9-1/2 inches. 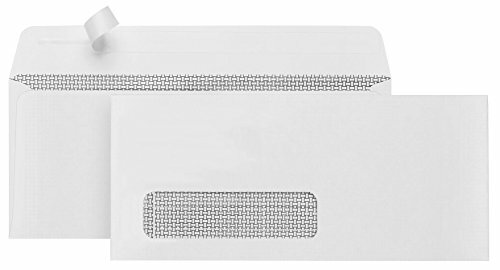 Envelope is ideal for all business, professional and personal correspondence. 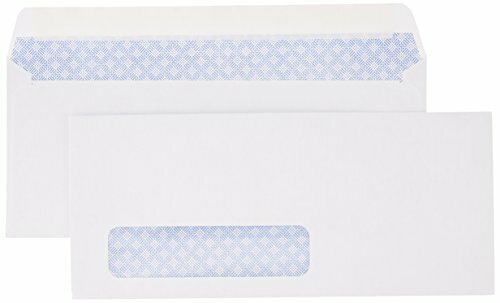 Poly-Clear left window position eliminates need to address envelope. Features: Premium 24lb white wove stock. Executive Style diagonal seam V-flap construction. Moisture activated gummed seal. Window size is 1-1/8"h x 4-1/2"w, positioned 7/8" from left, 1/2" from bottom. Sized: (#10) 4-1/8" x 9-1/2". 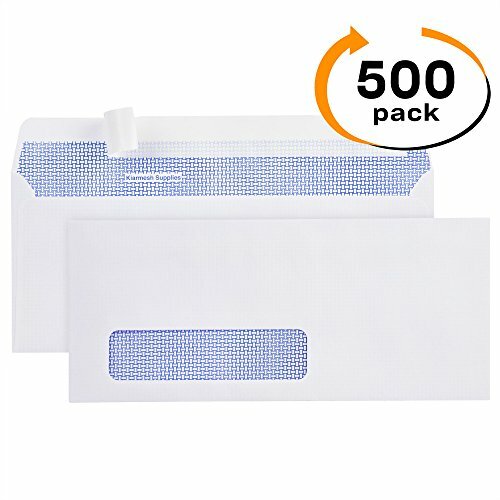 Quantity = 500 envelopes. 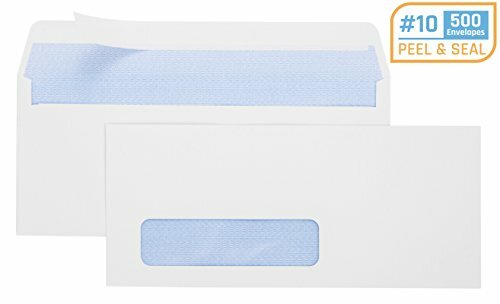 Compare prices on 10 Single Window Envelope at LiveSaler.com – use promo codes and coupons for best offers and deals. We work hard to get you amazing deals and collect all avail hot offers online and represent it in one place for the customers. Now our visitors can leverage benefits of big brands and heavy discounts available for that day and for famous brands. We try to makes comparison shopping easy with Product Reviews, Merchant Ratings, Deal Alerts & Coupons. Find Deals, Compare Prices, Read Reviews & Save Money.